The Capital One Venture card is one of the most popular travel credit cards there is. It's also one of the worst. You can barely watch TV without seeing a commercial for it. 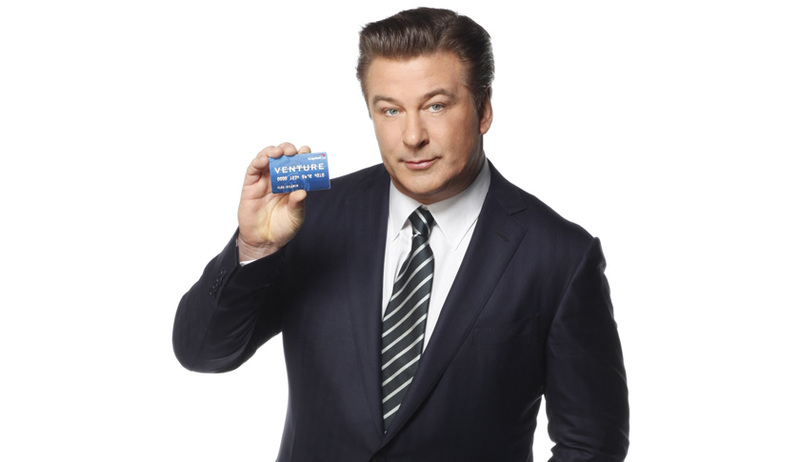 Alec Baldwin wants you to think it’s a great card. It's not. Keep reading to find out why it's so bad and what we recommend instead. Most people are lured into the Capital One card with the promise of simplicity and double miles on all their purchases. The card is dead simple to use, and it's true you earn two times the miles on everything you buy. But it's not about how many miles you earn. The most important thing is how much those miles are actually worth. Venture miles aren't worth nearly as much as you think they are. Capital One Venture miles are known as cash equivalent miles. Your miles are worth one cent each, no matter what. One mile = one cent. You'll never earn more than one cent per mile with the Venture card. You can get much better redemption rates with other cards. Alec Baldwin wants you to think this is a great card…it’s not. For example, 50,000 Venture miles are worth 500 dollars. But the same amount of miles can be redeemed for much more elsewhere. 50,000 American Airlines miles will get you two economy tickets anywhere in the country. Depending on where you're flying, those two tickets will be worth well more than 500 dollars. On our recent flight to Seattle, had we paid cash, our tickets would have cost 699 dollars each. For those tickets through Capital One, it would have required almost 140,000 miles to book the tickets. We used 50,000 American Airlines miles for the same tickets. That's a huge difference. The AA miles are nearly triple the value! Two tickets on this flight cost us 50,000 American Airlines miles. It would have been close to 140,000 with Capital One. The short answer is, almost any other travel card. Getting this card just for the signup bonus isn't too bad but using it as your primary travel card doesn't make any sense. We recommend most people start out with the Chase Sapphire Preferred card. The annual fee is waived the first year, and it comes with a 50,000 point signup bonus. Those points with Chase are worth a minimum of 625 dollars but can be worth much more if you transfer them to Chase's airline or hotel partners. Chase points are our favorite because of the value and flexibility of the points. It’s also easy to earn the points with 2% back on restaurants and travel. Whatever card you choose though, be sure to look past the tv commercials and examine what the points are actually worth. What about you? Do you have the Capital One Venture card? Do you like it? Let us know below in the comments.